The Junior League of Greenwich (JLG) recently culminated a year of impressive community impact with a Spring Luncheon of over 410 in attendance, including over 40 AVID (Advancement Via Individual Determination) students from Greenwich High School to participate in a conversation with honored guest, Indra K. Nooyi, Chairman and CEO of PepsiCo. This year of Community Impact included participation in three JLG Signature programs for Greenwich youth: PositivelyMe! Positively More and Boys Achieving More (BAM!). Over 140 3rd grade girls across 4 sessions participated in the PositivelyMe! Program. PositivelyMe! is a program for 3rd grade girls to help develop the skills to be confident, to make good decisions, to be assertive and to express themselves. The Positively More program attracted over 100 pre-adolescent girls during their three weekend sessions this year. This community project designed for 11 and 12-year-old takes a positive approach to youth development and builds upon the many strengths of adolescent girls. When young girls exhibit self-confidence and resilience and feel supported by an array of adults, they are more likely to set high educational goals, express strengths such as self-discipline and engage in activities that are beneficial to their physical, social, emotional, and intellectual development. During its pilot year, the Boys Achieving More (BAM!) Program was created by the Junior League to facilitate a discussion amongst 5th grade boys on the over-arching concepts of respect, trust, communication and leadership. This program attracted over 70 fifth grade boys and is slated to continue with two more sessions this fall. The JLG awarded a Community Grant to Kids in Crisis (KIC) this year and will award a Community Service Award later this spring to a high school senior. The Community Grant will allow Kids in Crisis to expand its existing program providing “Youth Mental Health First Aid Training” to staff at the Boys & Girls Club of Greenwich (BGCG). 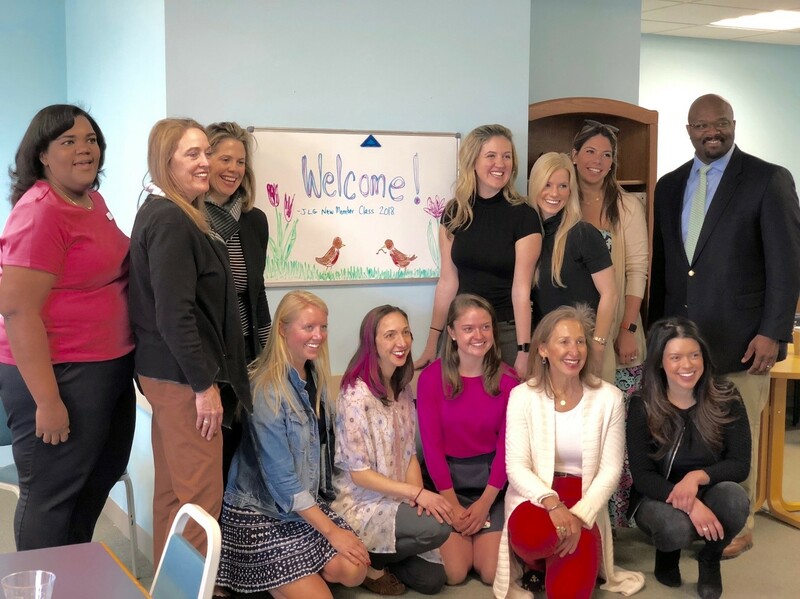 This collaboration will allow KIC to assist the BGCG in supporting the growing need for mental health services for the children ages of 6 to 18 that attend the Boys & Girls Club of Greenwich. The JLG Done in a Day Program developed one-day projects impacting a variety of aspects of the Greenwich community at large. One special project included a pajama party at the Bruce Museum with the Boys & Girls Club of Greenwich. 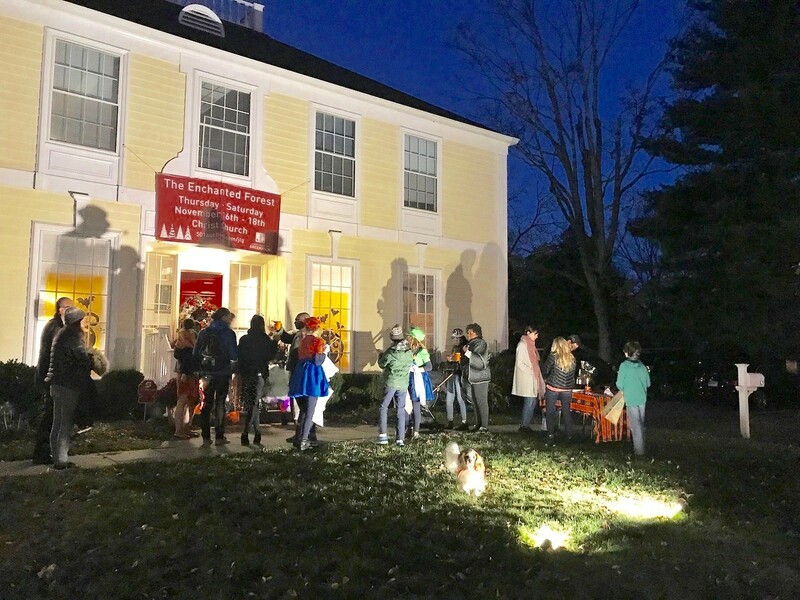 This was the third year the Junior League of Greenwich Done in a Day Program hosted a private pajama party at the Bruce Museum for 50 Boys and Girls Club members, ages 6-10. Children from the Boys and Girls Club of Greenwich were invited to come in their pajamas for a night at the Bruce Museum to explore the current exhibition, Treasures of the Earth: Mineral Masterpieces during a docent-led scavenger hunt, followed by crafts and activities, a pizza party, and the movie, Journey to the Center of the Earth, in the main room of the museum. 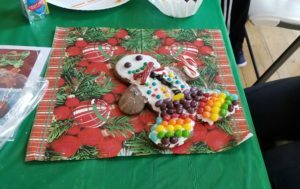 Other spectacular community projects included a gingerbread man decorating workshop at the Boys & Girls Club of Greenwich with children and their families, a senior tea held at the historic Tomes-Higgins House, and a family Halloween trick or treat event to delight every child. These impactful programs all occur thanks to fundraising efforts of longstanding community events including The Enchanted Forest, Touch a Truck and the Children’s Concert Series. The twenty-six women in the JLG’s new member class for 2017-18 devoted their introductory year to three community based projects. New Members redecorated the study room of the Boys and Girls Club to ensure children have a welcoming place to do their homework at the club. 40 baby bouncers we filled with diapers, clothing, formula and other newborn essentials for donation to Neighbor to Neighbor who in turn shared these overflowing baby bundles with new moms in need. Another group of New Members collaborated with every Greenwich public school on their Pennies for the Pool campaign. All money collected by Greenwich school children will be donated to the Greenwich Pool in Byram Park campaign and will be commemorated by an individual brick for each school in the Pool Complex entryway. 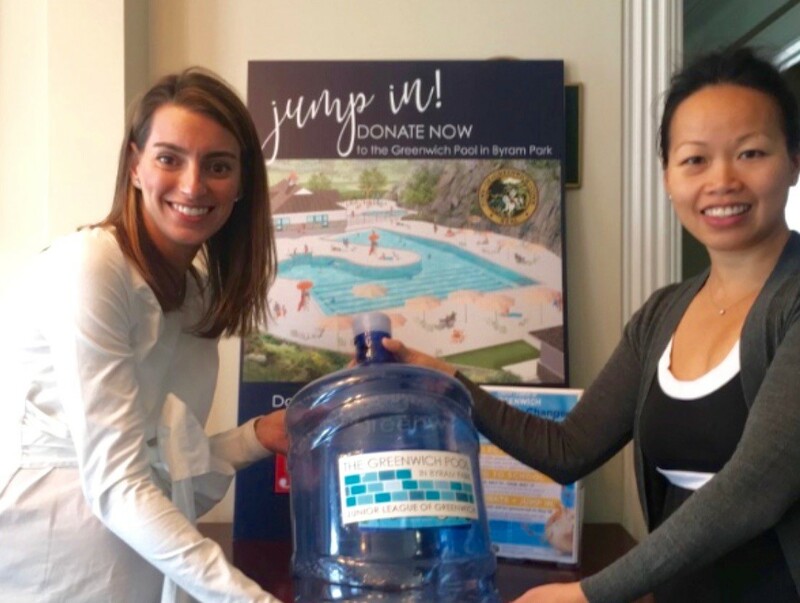 One of the largest brick and mortar projects to date for the Junior League of Greenwich is the Greenwich Pool in Byram Park Project. 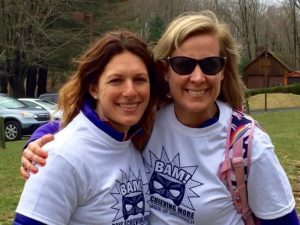 A public-private partnership between the Junior League of Greenwich and the Town of Greenwich to build a new outdoor community pool and revitalize Byram Park. The JLG proudly worked to spearhead and fundraise for this incredible recreational resource. With a scheduled opening for June 2018, the Greenwich Pool in Byram Park will be a landmark aspect of the Greenwich community for years to come. 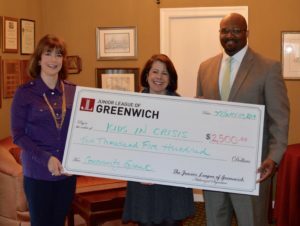 To become part of the impact and the nearly 60-year legacy of the Junior League of Greenwich please visit their website at www.jlgreenwich.org/join or contact the New Member program at JLGreenwichNewMember@gmail.com. 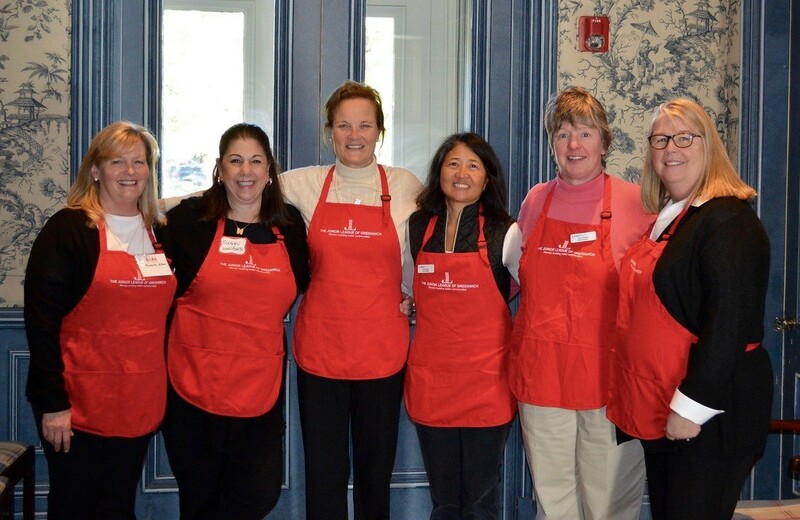 The Junior League of Greenwich has been bettering the community for nearly 60 years. 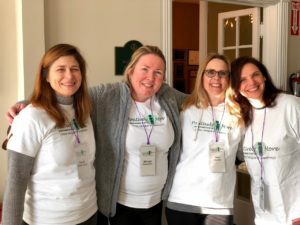 It is an organization of women committed to promoting voluntarism, developing the potential of women and improving the community through the effective action and leadership of trained individuals. Its purpose is exclusively educational and charitable. The JLG is committed to inclusive environments of diverse individuals and reaches out to women of all races, religions, and national origins who demonstrate an interest in and commitment to voluntarism.